Did you go through a “Little House On The Prairie,” phase? I sure did from about Kindergarten to fourth grade. My grandmother made me my own pinafore. Growing up I watched “Little House On The Prairie,” every day at 5pm. I loved the actor Michael Landon, who to me,seemed like the classic personification of Pa. Melissa Gilbert portrayed Laura Ingalls just right in all her spunkiness. Melissa Sue Anderson brought Mary Ingalls to life in all her semkingly goody toe shoes elderly sister role. In third grade I got to have my own creek in my backyard. Of course I put a plank of wood across so I could get across. 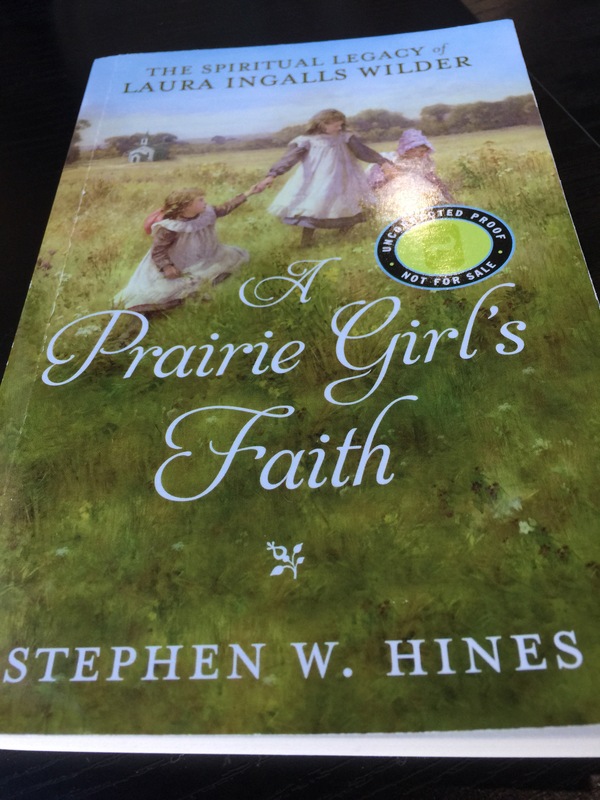 I have never read all of the Little House books, but when I saw, A Prairie Girl’s Faith, as an option to request an ARC of course I jumped at the chance. This short volume reflects on Laura’s and her family’s faith. It covers her relationship with her daughter Rose. Not having read all of Laura’s books, or any bios on her, I didn’t realize how big of a role Rose had in helping shape The Little House series. This book also, includes some recipes of Laura’s Ma and their friends/neighbors. I received this ARC for free from Blogging For Books in exchange for my review. I had high hopes for this book, but honestly I found it a bit slow and dry for my taste. If you are a fan of Laura this book might still be worth a check out.